Frederick Beddingfield, MD, PhD, is an Assistant Clinical Professor of Medicine/Dermatology at the David Geffen School of Medicine at UCLA. He simultaneously completed a residency in dermatology at UCLA and a doctorate in policy analysis at the RAND Graduate School of Policy Studies in Santa Monica, California, as part of the UCLA STAR Program. Subsequently, he completed the UCLA dermatologic, cosmetic, and laser surgery fellowship prior to joining the UCLA faculty. Dr. Beddingfield holds a medical degree with honors from the University of North Carolina at Chapel Hill School of Medicine. Prior to his dermatology training he completed a residency and chief resident fellowship in emergency medicine at Harbor-UCLA Medical Center. He is board certified in both dermatology and emergency medicine and is a fellow of the American Academy of Dermatology and the American College of Mohs Micrographic Surgery and Cutaneous Oncology. 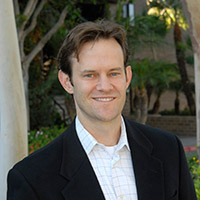 In addition to his work at UCLA, Dr Beddingfield is the Chief Medical Officer of Kythera Biopharmaceuticals, Inc. a biopharmaceutical company focused on the discovery and development of novel prescription products for aesthetic medicine. Prior to this, he also worked at Allergan, Inc. for ten years where he served as Vice President and Head of the Dermatology and Aesthetics Research and Development where he led the development of worldwide BOTOX; Cosmetic®, Juvederm®, Latisse and many other products. Dr. Beddingfield is an innovative and internationally respected dermatologist and dermatologic surgeon, lecturer, and has been responsible for the development of numerous drugs and medical devices in common use in dermatology and plastic surgery clinics worldwide. Melanoma is a serious type of skin cancer. It starts in skin cells called melanocytes. Melanocytes are what give skin its color. There are 3 main types of skin cancer. Basal cell carcinoma and squamous cell carcinoma are more common. Melanoma is a much less common, but melanoma is more likely to spread to other parts of the body. Lupo MP, Smith SR, Thomas JA, Murphy DK, Beddingfield FC III. Effectiveness of Juvéderm Ultra Plus dermal filler in the treatment of severe nasolabial folds. Plast Reconstr Surg. 2008 Jan;121(1):289-97. Beddingfield FC III, Kim J. Fillers in Ethnic Skin. Aesthetics and Cosmetic Surgery for Darker Skin Types. Grimes PE ed., Lippincott Williams & Wilkins. 2007. Losina E, Walensky RP, Geller A, Beddingfield FC III, Wolf LL, Gilchrest BA, Freedberg KA. Visual Screening for Malignant Melanoma: A Cost-effectiveness Analysis. Arch Dermatol. 2007;143:21-28. Schpall R, Beddingfield FC III, Watson D, Lask GP. Microdermabrasion: A Review. Facial Plastic Surgery 2004: 20:1; 47-50. Kim J, Beddingfield FC III, Lask GP. Non-ablative resurfacing lasers. In Principles and Practices in Cutaneous Laser Surgery. Kauvar ANB ed., Marcel Dekker, Inc., New York. 2001. Link to MyPubMed for more publications. Total Facial Rejuvenation, Hawaii Dermatology, Kona, HI, March, 2008. Fillers for Total Facial Rejuvenation. AAD, San Antonio, TX, February, 2008. Photoaging and Procedures: Cosmeceuticals. AAD, San Antonio, TX, February, 2008 and Washington, DC, February 2007. Dermal Fillers, UCLA Dermatology, January, 2008, March 2007. Dermasurgery Pearls: Periorbital Rejuvenation. American Society for Dermatologic Surgery, Chicago, IL, October 2007. Patients' Self-Perception of Age of Appearance Following Treatment with Botulinum Toxin Type A for Upper Facial Rhytids: Pooled Results from 6 Studies. World Congress of Dermatology, Buenos Aires, October 2007. Functional and dermatology-specific quality of life benefits with botulinum toxin type A treatment of primary axillary hyperhidrosis over four years. Hawaii Dermatology Seminar. Maui, HI, March 2007 and World Congress of Dermatology, Buenos Aires, October 2007. BOTOX and the Evolution of Medical Aesthetics, SRI 4th Annual Cosmeceuticals Conference, NYC, NY, June 2007. Cosmeceuticals and Ethnic Skin, SRI 4th Annual Cosmeceuticals Conference, NYC, NY, June 2007. BOTOX and Hyperhidrosis: Hawaii Dermatology Seminar, Maui, HI, March 2007. BOTOX and Depression: Hawaii Dermatology Seminar, Maui, HI, March 2007. The Hollywood Perspective: Botulinum Toxins and Fillers. AAD Washington, DC, February 2007. Cosmetic Treatments For Ethnic Skin: Botulinum Toxins and Fillers. AAD Washington, DC, February 2007. Diffusion halos and Botulinum toxins. American Society for Dermatologic Surgery, Palm Springs, October 2006.